The word ‘patent’ originates from the Latin patēre, which means ‘to lay open, to be accessible’. A patent is the exclusive right granted for a certain period of time to the inventor of a novel and technological invention, involving an inventive step, which is susceptible of industrial application. This means, that the inventor, to whom a patent has been conferred, disposes of a temporary monopoly for exploitation of the invention in a specified territory, and may prevent others from exploiting his or her invention. Luxembourg is a party to many important international treaties on intellectual property, but the main national legislation is the Law on Patents of 20 July 1992 (hereinafter the Law of 1992). Interestingly, the Law of 1992 does not give a precise definition of the term ‘patent’. It only states in Article 3 that, under the conditions and within the limits established by the Law, an industrial property title, called patent, may be granted to an inventor of an invention, who will personally, or by his or her successors, benefit from an exclusive right of exploitation. plant varieties or animal breeds, as well as essentially biological processes for the production of plants or animals. A trademark is any sign, which may consist of one or a combination of characters, scents, colours, figures, letters or words that can be represented graphically. Even if the scope of the trademark protection is wide, the most common trademarks are verbal (i.e., the name under which the concerned product is commercialised) or figurative (i.e., the logos, labels, etc.). Trademarks enable the distinction of goods or services of one undertaking from those of its competitors. In Luxembourg, national registration of trademarks no longer exists. Trademark protection is possible through the Benelux trademark registration or the European registration. An international registration of a trademark is also possible. The Benelux trademarks are subject to the Benelux Convention on Intellectual Property dated 25 February 2005, which was implemented in Luxembourg by virtue of the law of 16 May 2006, as amended. The registration of a Benelux trademark covers the territory of Belgium, Luxembourg and the Netherlands. It is valid for a period of 10 years from the date on which the application is filed. The term of protection can be renewed on request for an unlimited number of 10-year periods. The European Union trademark, delivered by the European Union Intellectual Property Office (EUIPO), formerly the Office for Harmonisation in the Internal Market, covers all the Member States of the European Union. It is subject to the Regulation (EC) No. 2017/1001 of the European Parliament and of the Council on the EU trademarks effective as of 1 October 2017 and which repealed the Regulation (EC) No. 207/2009. Similar to the Benelux trademark, a European Union trademark registration is made for 10-year periods, renewable for periods of 10 years each. In addition, as Luxembourg is part of the Madrid Agreement concerning the International Registration of Marks dated 14 April 1891 and to the Protocol Relating to the Madrid Agreement concerning the International Registration of Marks dated 27 June 1989, the owner of the already registered trademark (whether a Benelux trademark or a European Union trademark) may extend the protection of the trademark outside the Benelux territory via an international registration. A registration of the international trademark is made through a single form of application designating the concerned countries, to be filed with the Benelux Office (the application is transferred to the World Intellectual Property Organization (WIPO)). An international registration has the same effect in the designated countries as a national procedure carried out in each of the individual states. Finally, in accordance with the Paris Convention for the Protection of Industrial Property dated 20 March 1883 to which Luxembourg is party, on the basis of a trademark application filed in one of the countries in the European Union, the applicant may, within six months of that filing, apply for protection in Luxembourg (‘priority right’). Any of these subsequent applications have priority over applications filed by others during that six-month period for the same trademark. A design refers to the visual and aesthetic appearance of a product as a whole or only part thereof, without considering its manufacture files or its technical functionality. A product’s design may be either a two-dimensional representation (a drawing), or a three-dimensional representation or object (a design) including layout, shape and texture. Under Luxembourg law, any intellectual creation (commonly called a ‘work’), whether literary, scientific or artistic, including databases or computer programs, may be protected by copyright. Ideas, procedures, methods of operation, concepts or information are excluded from copyright protection as such. Copyright protection is obtained automatically without the need for registration or other formalities. A copyright protection is automatic once the artistic or literary work is accomplished. The protection is valid throughout the creator’s life plus another period of 70 years from the creator’s death. In order for the artistic or literary work to be protected by a copyright, two cumulative conditions must be satisfied: it must have sufficient original character; and it must have a concrete shape (which excludes ideas or concepts). Copyright and related rights in Luxembourg are subject to the Law of 18 April 2001 (a new Bill No. 7137 in order to amend this law and its Regulations of 30 June 2004 is still on progress)2 on copyright, related rights and databases, as amended (the Copyright Law). In addition, Luxembourg has signed and ratified several international copyright conventions such as the Berne Convention for the Protection of Literary and Artistic Works, dated 9 September 1886; the Universal Copyright Convention of Geneva, dated 6 September 1952; the Agreement on Trade-Related Aspects of Intellectual Property Rights, signed in Marrakech on 15 April 1994; and the WIPO Copyright Treaty signed in Geneva on 20 December 1996. Related rights are a separate set of rights given to certain persons or bodies that help make works available to the public. The beneficiaries of related rights are usually performers, producers of phonograms and broadcasting organisations. By implementing an IP tax regime in 2008, Luxembourg provided a very attractive and competitive tax rate applicable to companies granting or using copyrights linked to intellectual property. This tax regime foresees an 80 per cent exemption on royalties and capital gains realised on the disposal of such intellectual property rights. As a consequence, only 20 per cent of the net revenue or capital gains are subject to the ordinary Luxembourg tax rates (which is currently 29.22 per cent for the aggregate of corporate income tax and municipal business tax, including any surcharges thereto), meaning that the effective tax rate is 5.84 per cent on the income linked to IP rights. The aim of the tax deduction is to encourage companies to invest more in research and development. However, it is being contemplated by the Luxembourg parliament to repeal this IP regime, effective of 30 June 2016, but for IP rights registered prior to 31 December 2015,3 there will be a transitory period of five years that will end on 30 June 2021. Recently, the Law of 17 April 2018, which made certain amendments to the income tax law, introduced a new tax regime in line with Organisation for Economic Co-operation and Development (OECD) requirements for income from intellectual property. The provisions of this Law will become effective as from tax year 2018 and will apply in parallel with the former IP regime until 30 June 2021. To fall within the scope of the new regime, the taxpayer must demonstrate a real economic research and development activity according to OECD standards, based on the existence of a link between research and development expenditure and income from intellectual property rights. To file a patent application, some conditions of form must be met, which are specified by the Grand-Ducal Regulations of 17 November 1997 on administrative procedure related to patents. In respect of those conditions, a request6 for a grant must be submitted in triplicate, together with a sufficiently clear and complete description of the invention, allowing a person skilled in the art to carry it out, and one or more clear and concise claims providing the definition of the object for which the exploitation monopoly is asked, and determining the scope of the protection of the granted patent. The owner of the patent will automatically be the person who first filed the patent application, regardless of whether it is a natural person or a legal entity. However, this does not exclude that a patent application is filed jointly by several applicants, who will then all be co-owners of the patent. The patent is generally granted for a maximum period of 20 years. After 20 years, the invention is deemed to be returned to the public domain, which means that it may be used freely. As a patent is only effective in the country in which it is granted, a Luxembourg patent only covers the territory of Luxembourg. However, the holder’s rights may be extended to other countries. The priority right, granted by the Paris Convention, attached to every Luxembourg patent application, allows the applicant who wishes to obtain protection for his or her invention in other countries, to file a subsequent application for the same invention in every country where such protection is desired, provided that these countries have signed the Paris Convention on the recognition of the right of priority; such application must be filed, at the latest, 12 months after filing the Luxembourg patent application. The applicant must claim the priority of the first application in order to make use of his or her right of priority. Consequently, the date of filing of the first application will be considered to be the effective date of filing for the invention’s examination of novelty and inventive step. This territorial extension of the protection results in a free disclosure of the invention for the applicant. Yet, the applicant may check whether his or her invention is capable of meeting the main criteria for patentability in the different countries where the protection is desired. To make the territorial extension even easier, the Patent Cooperation Treaty, on the one hand, makes it possible, by filing one single international patent application after the first filing in Luxembourg, to cover 152 countries at once. By this procedure, the applicant has almost worldwide protection of his or her invention for 30 months. During those 30 months, the applicant, benefiting from an option to protect his or her invention, will be able to assess the patentability of his or her invention and to designate the countries in which he or she wants to obtain a patent. On the other hand, the European Patent Convention allows the applicant to extend the protection of his or her invention throughout the European territory, by obtaining a European patent for his or her invention, which is valid in the contracting Member States of his or her choice. Registering a trademark can significantly improve the commercial value of a firm since it grants statutory rights that prevent third parties from using the trademark without obtaining a prior authorisation from its owner. In addition, since registering a trademark allows for differentiating the protected products and services from those that are proposed on the market by the competitors, it is deemed a loyalty tool, useful for maintaining customer relations. It is important to know that only registered trademarks are protected. Under Luxembourg law there is no protection for non-registered trademarks. Under the Benelux Convention, names, drawings, imprints, stamps, letters, numerals, shapes of goods or packaging and all other signs that can be represented graphically, and that serve to distinguish the goods or services of an undertaking, may constitute a trademark. The exclusive right to a trademark shall be acquired by registration of the trademark that has been filed in the Benelux territory. the trademark (1) is contrary to the accepted principles of morality or to public policy in one of the Benelux countries; (2) is of such a nature as to deceive the public, for instance with regard to the nature, quality or geographical origin of the goods and services; (3) is similar to a collective trademark or an individual trademark that had already been registered by a third party for similar goods and services beforehand; (4) might give rise to confusion with a well-known trademark belonging to a non-consenting third party; and (5) was filed in bad faith. If the Benelux Office recognises one of the above-mentioned absolute grounds for refusal, it issues a decision of provisional refusal, which may be objected to by the applicant. Unless the Benelux Office objections to the registration are resolved, the registration of the trademark is wholly or partially refused. The applicant may lodge an appeal against the decision of refusal with the Luxembourg Court of Appeal within two months of the notification of its decision by the Benelux Office. Even if none of the absolute grounds for refusal is met, the registration may be challenged by the applicant or the holder of a prior trademark, who may submit a written opposition to the Benelux Office within two months of the date of the publication of the application. Such opposition may be filed against a trademark that, in the order of priority, ranks after its own trademark or may give rise to confusion with its well-known trademark. The decision rendered by the Benelux Office upon the opposition is subject to an appeal before the Luxembourg Court of Appeal within two months of the date on which the decision was rendered. The exclusive right to the trademark is granted once the registration proceedings are complete. The proceedings last approximately four months; however, an accelerated registration is possible upon payment of an additional fee. The date of the registration takes effect retroactively as of the date on which the application for registration was filed with the Benelux Office. All the registered trademarks are published in the public register available online. Nowadays, design is sometimes even more important than functionality, because it is often the design that is the purchasing criteria for consumers. To be registrable, a design must be new, not be purely technical and have an individual character8 that makes it identifiable. The registration of a design can be useful if the characteristics of a product are purely visual and not linked to any functionality of the product itself. However, there should be no confusion between functionality of a product and its useful purpose, because designs may only be registrable if they have a useful purpose. Furthermore, a new design is a design that has not been presented publicly before and has major characteristics that differentiate it from other designs that already exist or that have once existed. Once the design is registered by the issuance of a certificate, it is protected for a period of five years. Its protection may be renewed four times, which means that a registered design may be protected for a maximum period of 25 years. During the period of protection, the applicant may act against incorporation or reproduction of its design, as well as against every other design that produces a similar effect to that of his or her original and registered design. Owing to the complexity of the different criteria for protection of designs, which are completely subjective, the filing of a registered design application depends entirely on the assessment of the judge responsible for examining a design’s validity. However, there is a difference between unregistered designs and registered designs. A design is deemed to be unregistered from the moment it is made available to the public in the European Union and for the following three years. The design will have an underlying copyright, which protects it against identical duplicates, but, unlike a registered design, the unregistered design may never protect all the different parts of an industrial design. Provided that all the conditions of registration are met, the applicant has the choice between two different types of filing, depending on the number of designs that are subject to protection: a single design application; or a multiple design application (this is a simple matter of grouping together different designs in one single application). A multiple design application is useful in order to obtain a protection for an entire collection or group of objects within a few weeks, while at the same time reducing the costs associated with the application. Whereas a design may be protected in more than one country, the applicant must decide where he or she wants his or her design to be protected. After the first filing, the protection may be easily extended to other countries while benefiting from the priority period,9 during which any foreign filing can be made, based on the date of the first filing. The design’s filing is special because it is not necessary that a prior registration be made in the applicant’s country; thus, the first filing may be an international registration. Moreover, the applicant may decide between three different types of protection for his or her design. First, where the national registration for designs does not exist, the applicant may decide to opt for a Benelux application, protecting the design in the three Benelux countries, Belgium, the Netherlands and Luxembourg. Secondly, the applicant may decide to protect his or her design in the entire European Union. The benefit of an EU application is that, by one application, the design is protected in all 28 Member States. However, an automatic protection for unregistered designs is given for three years as soon as the design is made public in the EU. Thirdly and lastly, an international design allows the applicant to choose the different territories where his or her design should be protected. The rights conferred on the creator of the work protected by a copyright may be divided into two categories: economic rights and moral rights. Economic rights are related to a possibility of reproduction in various forms of the work and its communication, by any means, to the public (e.g., printed publication, sound recording, broadcasting). As far as moral rights are concerned, such rights consist of a possibility given to the author to claim authorship of the work. They may be divided into the following subcategories: (1) the right of paternity, which means that the author of the work may claim authorship upon the concerned work; (2) the right of disclosure, which gives the author of the work the right to decide if the work is to be made public; and (3) the right to object to deterioration or modification of the work. However, the above-mentioned rights are not absolute, as the Copyright Law provides several exceptions to the author’s copyright. Notably, the author of the protected work may not prohibit third parties from making short quotations where use of such quotations is justified by the critical, polemic, educational, scientific or informative nature of the work to which they relate; from using the work for private purposes; and from communicating the work for the purpose of scientific research or private studies. Directive 2004/48/EC of the European Parliament and of the Council of 29 April 2004 on the enforcement of intellectual property rights has been implemented in Luxembourg by the Law of 22 May 2009(the Enforcement Law). The aim of the Enforcement Law is to ensure that effective means of presenting, obtaining and preserving evidence are available in Luxembourg. Depending on the subject matter, in Luxembourg, disputes are ruled upon by the judiciary or the administrative courts. The lower judiciary courts are divided into three geographical areas: Luxembourg City, Esch-sur-Alzette and Diekirch. The district courts are divided into two geographic areas: Luxembourg City and Diekirch. The lower courts have jurisdiction to judge any cases where the amount involved does not exceed €10,000 and also have exclusive jurisdiction in certain specific matters (e.g., employment or real estate rent), irrespective of the amount of the claim. The district courts deal with the civil and commercial matters that have a value of or below €10,000. There is one Superior Court of Justice in Luxembourg, composed of the Court of Appeal (which hears appeals related to the decisions rendered by the district courts or by the lower courts that have ruled upon a matter upon which they have exclusive jurisdiction) and of the Supreme Court of Cassation. While the Court of Appeal reconsiders the facts of the case that have been submitted, the Supreme Court only deals with matters that involved a violation of the rule of law by the judges. With regard to proceedings related to disputes over patents or European Union trademarks, the district courts have exclusive jurisdiction irrespective of the value of the case. There are no specific territorial legal venue requirements regarding disputes related to IP rights. For the Luxembourg courts to be declared competent, the defendant shall reside in Luxembourg or the infringing act must take place in the territory of Luxembourg. Depending on the residence of the defendant, the claimant will bring the case to a court based in the competent district. In Luxembourg, the general principles of tort law apply: the holder of an IP right who wishes to get compensation appropriate to an infringement of his or her right, must first of all prove that there has been an infringement and that this infringement caused him or her damage. In any case, it is the plaintiff who bears the burden of proof. Under Luxembourg law, counterfeiting may be proved by any means. According to the Enforcement Law, in order to ensure that evidence is preserved before the commencement of the proceedings on the merits of the case, by virtue of the summary proceedings and under specific circumstances, a person who considers themselves to be wronged may request the president of the district court to designate a competent expert who will prepare a detailed description of the materials, documents, objects and elements that may demonstrate the existence of counterfeiting, its intended recipients and its importance. If deemed necessary and reasonable, taking into account the particular circumstances of the case, the president of the district court may also prohibit the holders of the presumably counterfeited goods, or of the materials and implements used in the production and the distribution of these goods, from moving them or affecting their functioning. The measures of a physical seizure of the infringing goods or a sequestration of the income provided by counterfeiting are also possible. If evidence must be obtained urgently, and any delay would be such as to cause irreparable prejudice to the right holder, the decision regarding the above measures is taken ex parte, without the presence of the defendant. The summary proceedings are carried out before the president of the district court (a single judge). The proceedings on the merits of the case are conducted before the district court, which is composed of three judges. There is no specific procedure for cases regarding intellectual property rights. The system of law in Luxembourg is classified as a civil law system. The claimant must first make a claim. The judge only accepts evidence that has been previously disclosed to the opposing side, as the communication of evidence must be exchanged between the parties before the trial begins in order to allow each party to analyse the supporting documents of the opponent and prepare the defence. The proceedings before the district court may be oral or written, depending on the matter (commercial or civil) or the choice of the parties. As a general rule, the owner of the trademark introduces a brief before the competent court where he or she will specify the nature of the infringement and the remedy sought. In the majority of cases, the claimant requests the court to order an injunction restraining the alleged infringer from continuing with what he or she has been doing, as well as damages to compensate the harm. The parties exchange their arguments (either in writing or orally before the judge during the pleadings, as the case may be). Once the parties have presented their arguments, the court renders its judgment. If there is an infringement of an IP right, and it is impossible to resolve the dispute in an amicable way, the damaged party may seek a legal remedy from the courts. The damaged party may claim monetary compensation or ask the judge to order any appropriate measures that would prevent the continuation or repetition of the infringement. A patent infringement occurs when a non-authorised party directly or indirectly exploits an invention defined by one of the patent’s claims and belonging to the patent’s holder. The burden of proof falls to the patent holder. To defend him or herself against any accusation, the defendant may argue that his or her exploitation of an invention does not fall under the definition of the patent’s claims. The defendant in a Benelux trademark dispute may put forward various arguments to claim that the adverse trademark is invalid. The most common defence is to advance that the challenged trademark has no distinctive character, is deceptive or is purely descriptive, which disables the sign to be registered as a trademark. Finally, if a trademark has not been used for a period of at least five years, the defendant can also claim that the trademark must be revoked. In addition to the arguments that allow the defendant in a design infringement case to argue that a design is void (for the reason of lack of originality or for the reason that a design is purely and exclusively technical and therefore not registrable), the defendant may also argue that his or her design is not a simple copy of an already registered design, but that it differs from every other design because it represents an individual character, which makes it identifiable. In fact, as mentioned in Section III.iii, a registerable design must not be entirely original, but must bear the personality of its designer. However, in that last case, it is the defendant who bears the burden of proof that his or her design differs completely from the other design. In the matter of copyright, the defendant may claim that the artistic or literary work has not been created by the person who claims to be the author or that the work is not original (i.e., was not independently created by the author). In addition, the defendant may claim that there is no infringement of a copyright as the use or reproduction of the work enters into a scope of the exceptions listed and admitted by the Copyright Law (such as the use for private purposes or short quotations). Further, although rarely done, the defendant could proffer that the work is in the public domain because the term of the copyright protection has expired. Finally, arguments may also concern the scope of the registration of the trademark and whether the alleged infringing trademark is confusingly similar to the earlier trademark. The summary proceedings are quite straightforward and generally last between two and six months. The length of the proceedings on the merits of the case varies depending on the type of the case and its complexity. Decisions taken by the district court in commercial matters generally takes between 10 and 18 months. In civil matters, the average length of proceedings is between one and two years. The main purpose of the remedies is to provide to the damaged party compensation for the prejudice caused by the infringement of the IP rights and to prevent any further violation. 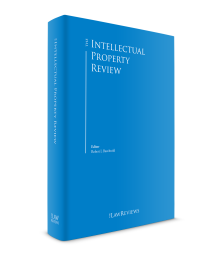 The type of remedies depends largely on the type of action and the type of the IP right concerned. Since damages are generally assessed according to the ex aequo et bono principle,10 the courts do not give very explicit and transparent explanations as to how the damages have been calculated. It is common that the courts take into consideration the negative economic consequences of the infringement, but no detailed explanation is given by the judges. Moreover, as it is extremely difficult to prove the exact amount of lost profits in intellectual property rights cases, the Luxembourg District Court often opts for awarding the holder of an IP right ‘lump sum’ damages, based on the approximate lost profits as an estimation in equity of the actual prejudice. These lump sum damages should, however, always reflect all the negative economic consequences that the holder of an IP right has been reasonably found to have suffered. In matters related to copyrights, the Copyright Law provides for criminal sanctions in case of counterfeiting. Such criminal sanctions may consist of a pecuniary fine, seizure and impounding, and destruction of the copies and materials. There are also increased punishments in case of recidivism. The criminal sanctions are applicable not only to the persons who directly committed counterfeiting, but also to those who contributed, for instance by knowingly selling the counterfeited goods or making them public. The decisions taken by the summary judge are subject to an appeal within 15 days of the date on which the decision was served on the defendant. The decisions rendered by the Luxembourg District Court are subject to an appeal before the Luxembourg Court of Appeal within 40 days of the date on which the judgment has been served on the opposing party. This period of time may be extended by 15 days, if the opposing party resides outside Luxembourg. A holder of a previously registered Benelux trademark may initiate an opposition procedure against a person who recently filed a request for registration of a similar or identical trademark. The opposition procedure must be initiated within two months of the publication of the disputed filing. An opposition is to be filed with the Benelux Office via the internet. The parties may also consider submitting their dispute to an arbitration court. In times of businesses based increasingly on knowledge and know-how, companies tend to invest more in research and development of intangible assets such as intellectual property. Located in the heart of Europe, Luxembourg is the ideal gateway to the European market, with over 500 million consumers. Thanks to its political and social stability, skilled and multilingual workforce, advanced infrastructure, excellent connectivity to markets and legal and attractive tax framework, Luxembourg offers opportunities and strengths that are exceptional for doing business in Europe. By transposing swiftly into national law every EU directive, international agreement and treaty on the subject, Luxembourg has developed over the past 30 years a safe and effective environment for the management and protection of intellectual property rights. 1 Anne Morel is a partner at Bonn Steichen & Partners. 2 It will transpose the Directive 2014/26/EU. 3 The date of the application is decisive. 4 A difference is made between the inventor, who is always a natural person, and the successor in title (the patent applicant) who may also be a legal entity who has acquired the rights to the invention. 5 Office for Intellectual Property, Ministry of Economy, 19–21, blvd. Royal, L-2914, Luxembourg. 6 A form of request is provided by the Office for Intellectual Property, Ministry of Economy. 7 It should, however, be noted that some translations have to be provided if the documents are prepared in English or Luxembourgish. 8 A registrable design must not be entirely original, but must bear the personality of its designer. 9 Six months after the first filing. 10 The judges have the power to dispense with consideration of the law and consider solely what they consider to be fair and equitable in the case at hand.